Dillard's Department Store was in need of a facelift, but did not want to shutdown the entire facility for its renovation. The store required asbestos abatement of fireproofing during this renovation. Dillard's national construction team-CDI Contractors- along with Precision's demolition people developed a phasing plan that would allow the work to be completed while keeping the store open. CDI erected temporary construction walls within the space and removed all merchandise within the construction work area. After the work area was established, Precision constructed the negative pressure enclosure utilizing asbestos trained carpenters. Once the negative pressure enclosure was constructed, Precision performed demolition of ceiling tile system, column covers, and floor coverings. After the demolition was performed the asbestos containing fireproofing was properly removed and disposed of utilizing our experienced abatement team. All work was performed in five separate phases safely and on time. 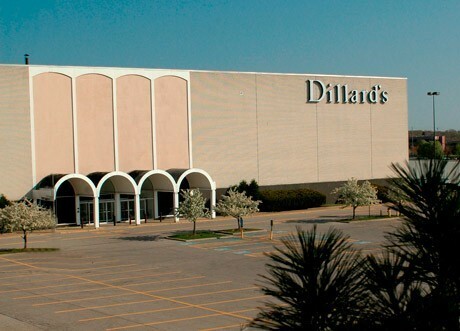 Dillard's received the facelift that it desired and was able to mitigate environmental hazards without closing its doors. Demolition and abatement of asbestos containing fireproofing while store remained open and operational.